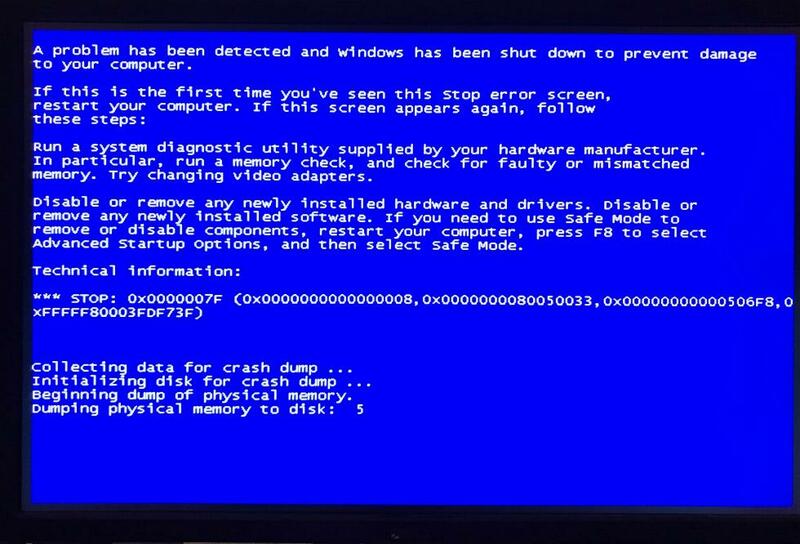 i havent had another bsod for the last 3 days until today, more on that in a moment. but what has happened is once a day for the last 3 days my computer has frozen while ive been online. unlike other times when it froze within the first 5 minutes, these once a day freezes occur anytime, even after my pc has been on for hours. not sure whats causing this but i want to give you this info about when it happens. my computer totally freezes and is unresponsive to anything, including control alt delete and the mouse. even the clock is frozen at the time the freeze happens. the strange part is i do not have to hold the power button down for 5 seconds to reboot, i only have to press it for one second and the system shuts off completely. i dont know if that piece of info is helpful to you or not but i wanted to pass it on in case it was. 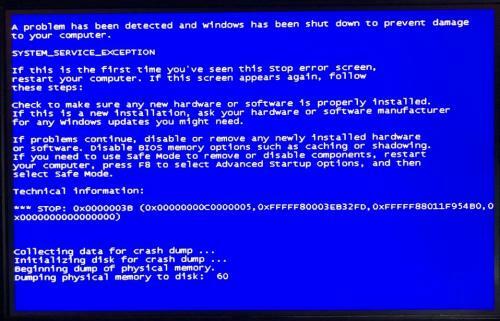 now like i said i havent had any more bsod in the last 3 days until just now. when my computer froze i pressed the power button for 1 second and it shut down. when i booted up it booted up to a bsod that ive attached as a pic below. 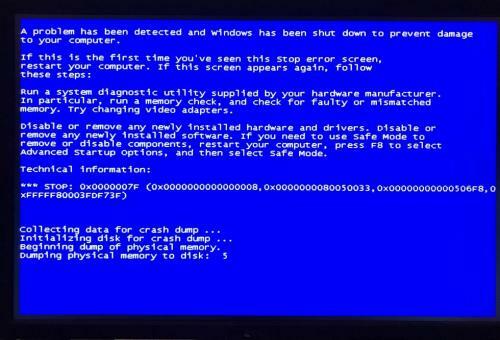 this was my first bsod in 3 days. still not sure whats going on but if you want i can wait until i reseat the ram and clean the inside of my computer and make sure all cables are tight to see if that resolves this once a day freezing issue and occasional bsod. i know we thoroughly tested the hard drive and ram with those tests that took hours so im assuming the ram and hard drive are not the issue? could the power supply be faulty and could it cause these issues? ill wait for your reply, thanks ron. hi again ron. this morning when i went to turn on my pc it wouldnt turn on. the screen just stayed blank 3x in a row trying to boot up. each time i pressed the power button to turn it off and try again. finally on the 4th time i got a bsod and ive attached that pic. after powering down and turning my pc back on now after that bsod its working fine. i will make sure to clean out my pc today and reseat the ram and check all the cables too. ill also clean out everything with a spray duster can to make sure theres not dust buildup. once im done with all that later today ill reply back to this thread and let you know its done. im just wondering more and more if this could be a power supply issue? thanks ron. Make sure the fan in the power supply is working when you turn the PC on. Is that 0X0000003B or 38? 1. yes its 3b. when i click on the link to download the hotfix it says that hotfix is no longer available. 2. i also ran the whocrashed program and the results are below. i tried clicking the link in the whocrashed report to get an updated driver from intel and when i try to install that driver it says my system doesnt meet the minimum requirements to install it. 3. im getting ready to clean my pc internally in a bit so when i do ill also check the power supply fan. 4. UPDATE an hour later: i just finished opening up my pc. i went ahead and used some cans of compressed and completely cleaned out everything inside, including all the fans and vents. they were pretty dusty but now theyre all perfectly clean. i also reseated all the memory and cleaned the contacts. i also changed the cr2032 battery on the motherboard as that was probably years old. i reseated and cleaned the video card and the 60gb ssd card that my machine uses to accelerate the main hard drive. lastly i made sure all cables were tightly connected before i put it all back together. i plugged it in and checked to make sure all fans were on and theyre all working. i hope doing this has helped in some way with my problems, i guess time will tell and hopefully i wont get any more freezing or bsod. either way its good to do an internal cleaning every once in a while. 5. UPDATE 2: i noticed in device manager that after i restarted everything after removing the motherboard battery and cleaning everything out i saw 3 exclamation points in adapters under microsoft 6to4 adapter, microsoft isatap adapter and microsoft teredo tunnelling adapter (see attached pic). 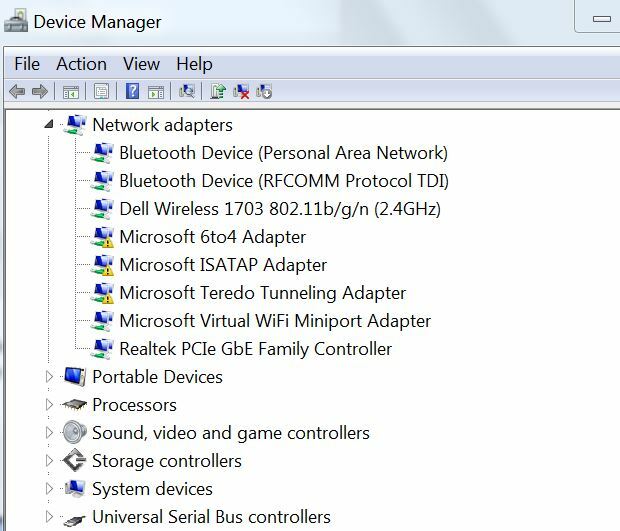 after researching this i think i didnt need any of those 3 so i uninstalled them and restarted and now theres no errors there in device manager under adapters and those 3 items are gone. im assuming this was ok for me to do but if not i can reinstall them via device manager. 6. LAST UPDATE WED 11/28 10AM ALMOST 2 DAYS AFTER MY CLEANUP: just wanted to add that since doing my cleanup almost 2 days ago i thankfully havent had any freezing or bsod yet. i know its only 2 days but hopefully this is a good sign. i also see my temps have dropped by about 5-10 degrees too and even though my temps werent initially high this probably is a good thing too. ill keep my fingers crossed that this cleanup and reseating of the ram and video card keeps things running problem free. thanks and ill wait for your reply. A third party driver was identified as the probable root cause of this system error. It is suggested you look for an update for the following driver: iusb3hub.sys (Intel® USB 3.0 Hub Driver, Intel Corporation). If no updates for these drivers are available, try searching with Google on the names of these drivers in combination with the errors that have been reported for these drivers. Include the brand and model name of your computer as well in the query. This often yields interesting results from discussions on the web by users who have been experiencing similar problems. Edited by louuu, 28 November 2018 - 09:02 AM. I don't get notified if you edit a post. Only a new post sends me an email. Sounds like you have solved the problem. Hope it stays solved. ok thanks. hopefully that cleanup and reseating fixed whatever was wrong. if anything pops up ill let you know but i hope im good to go now. thanks again ron, youre help is always sincerely appreciated.